This 15cm Brown Kiwi soft toy, with authentic sound, is from the Antics Bird range.This large Kiwi looks so real and is sure to impress! 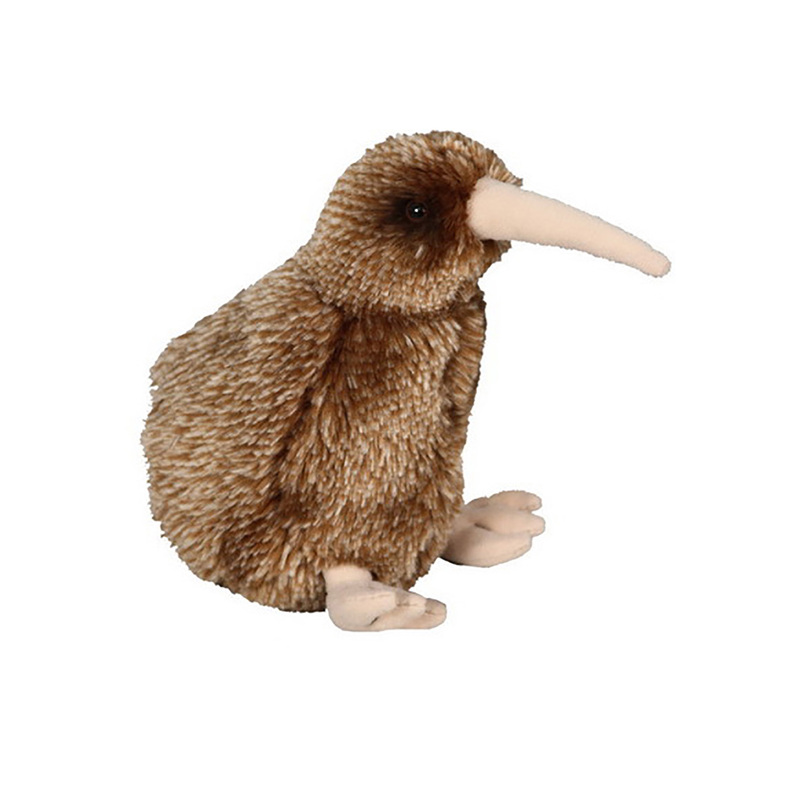 This 15cm Brown Kiwi soft toy, with authentic sound, is from the Antics Bird range. The kiwi is New Zealand’s national icon but despite the fact that New Zealanders are known as ‘KIWIS’ most people have never seen the bird in its native habitat or even heard it! It is more unusual that kiwi birds cannot fly and have hair like feathers so its ground based exsistance makes it vulnerable to predators. Thus making them an endangered species. Kiwi birds are mainly nocturnal sniffing out food using nostrils located at the end of its beak. The smaller males do most of the egg incubating but it is the larger female who has to lay an egg. About one third of its own size. Kiwis live in pairs and mate for life, surviving up to 30 years in a predator free environment. Wow! This Kiwi looks so real and is sure to impress. Antics is a specialist in the development and manufacturing of Soft Toys. Established in 1988, they have evolved into a one-stop destination for all things Plush.